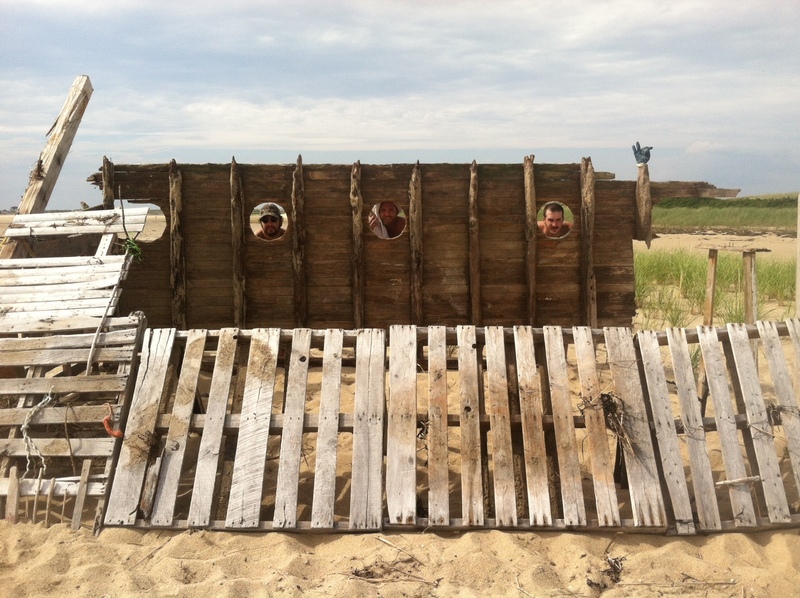 For hundreds of years boat fragments, rope, and lumber have been washing up on the shores of Cape Cod. There were times when entire ships ran aground on these barriers of sand; life earnings spilling over and out into the shallows for others to plunder. Treasures are hard to come by these days, so we foraged and found drift wood and a fragment from the side of a ship. 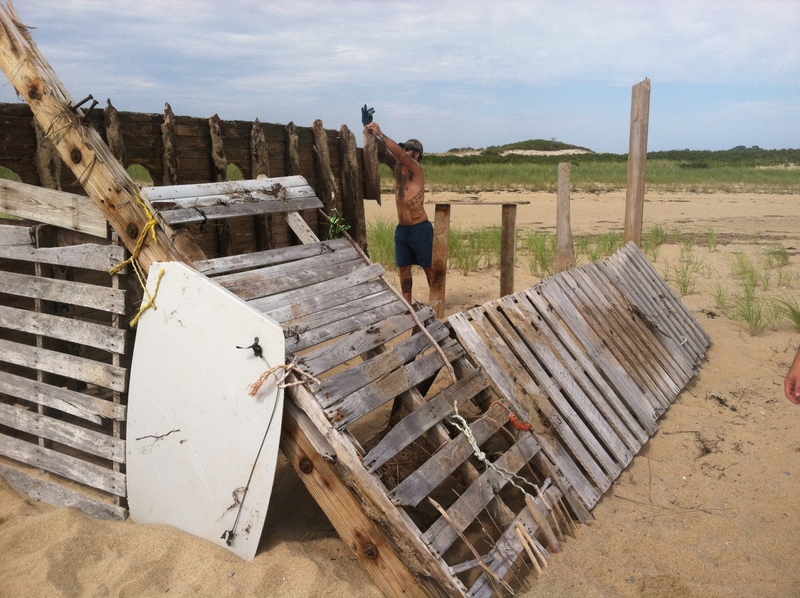 With it we made a shack. It was our home on the edge of the world. © Cramped Up and CrampedUp.com, 2015. Unauthorized use and/or duplication of this material without express and written permission from this blog’s author and/or owner is strictly prohibited. Excerpts and links may be used, provided that full and clear credit is given to Cramped Up and CrampedUp.com with appropriate and specific direction to the original content.